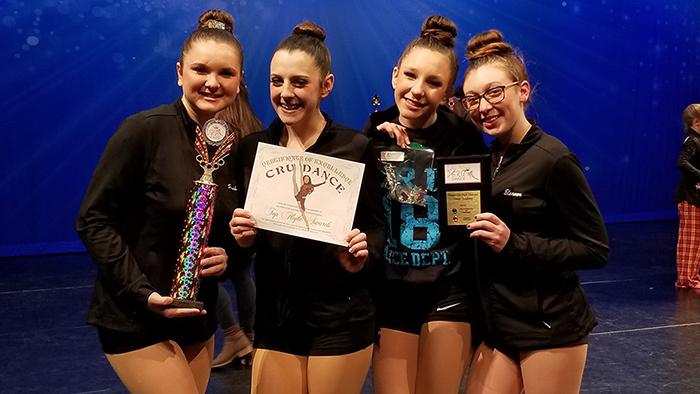 Congratulations to our Competition Dance II team for receiving a superior placement and placing 2nd in their division at the Cathy Roe Ultimate Dance Competition on March 4, 2018! Instructional dance classes are offered on a seasonal basis. These classes do not perform at the annual spring dance recital. Parent Observation will be held during the last class of the session. 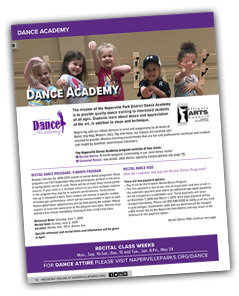 Our recital dance season begins in September and recital classes will be listed in our Autumn Program Guide. Parent observation day will be held during the last class of the session. Please register at least one week prior to the class start date. You will receive more information in class the week of April 2019. Our recital dance season runs from September thru May and classes perform in our annual Spring Recital in June. We also have new recital classes added in January that will perform in our Spring Recital. Please register at least one week prior to the class start day. Parents are welcome to attend the last 20 minutes of their dancer's class the following weeks. Sat. May 18-Fri. May 24. 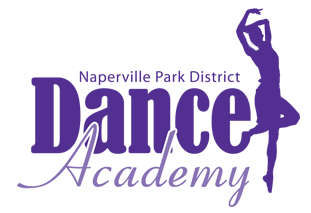 This pre-professional, regional company provides an entry point into the world of dance performance, helping its members gain comprehensive knowledge of what it means to be part of a dance company. Participating in the Élan Dance Company can serve as a foundation to apply for dance scholarships to assist with attending college or create opportunities to continue into a professional dance career. The Company performs various genres of dance across the community and beyond. The Élan Dance Company has performed at Ribfest, Chicago's Millennium Park and other venues. The Élan Dance Company consists of three levels: Junior Company (ages 9-12), Senior Company (ages 12-18) and the Apprentice Company. If you are interested in auditioning or would like more information, please contact Kristy Meza, Élan Artistic Director, at 630-848-3618 or via email at kmeza@napervilleparks.org. This program is partially funded by a grant from the Illinois Arts Council, a state agency. Auditions are for the 2019-2020 season that will begin in September 2019. We offer a summer workshop for Company members that is optional, but strongly encouraged. 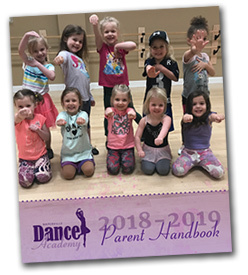 Dancers age nine and up may attend auditions; dancers must be nine years old by September 1, 2019. All students auditioning should dress for a dance class (please wear jazz or ballet shoes). Candidates will receive details of class and rehearsal requirements at the audition. Notifications with results of the audition will be by e-mail. Interested in learning more about the Company? Please drop-in during our optional Élan Dance Company open house information meeting to be held on Wednesday, May 8 between 5:30-6:30 p.m. at the Alfred Rubin Riverwalk Community Center, 305 West Jackson Avenue. Audition packets will be available for pick-up. Junior (Ages 9-12), 5:00-6:00 p.m.
Apprentice (Ages 12-15), 6:15-7:15 p.m.
Senior (Ages 14-21), 7:30-8:30 p.m. 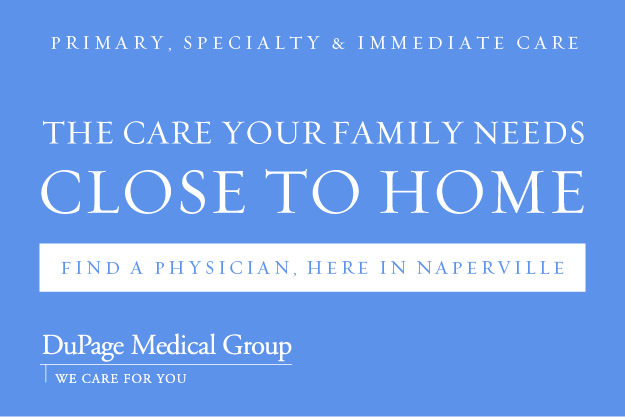 Please call 630-848-3618 with questions.